The Great Bay 5K starts on Sandy Point Road, across Route 33 from Stratham Hill Park, and finishes at the Great Bay Discovery Center at 89 Depot Road, Greenland. 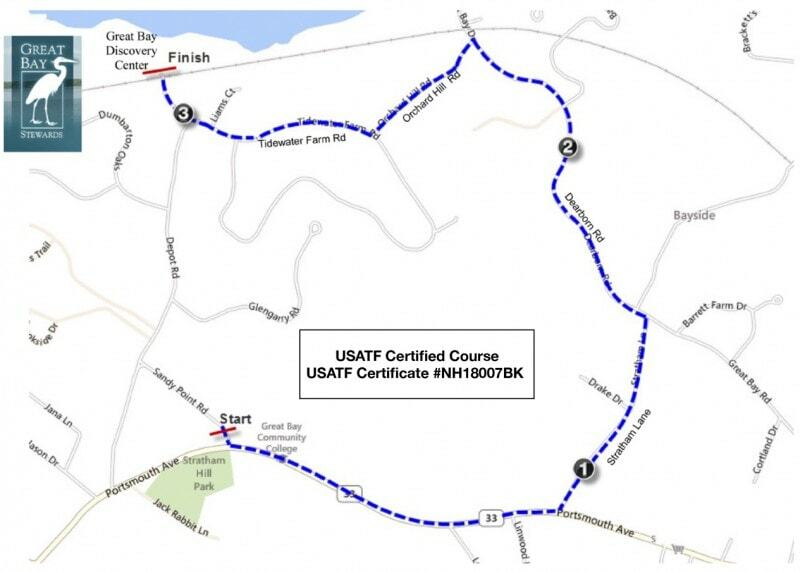 It is a fast, mostly downhill course on rural/residential roads, with terrific views of Great Bay in the final mile. There will be a water stop at the 1.5 mile marker.